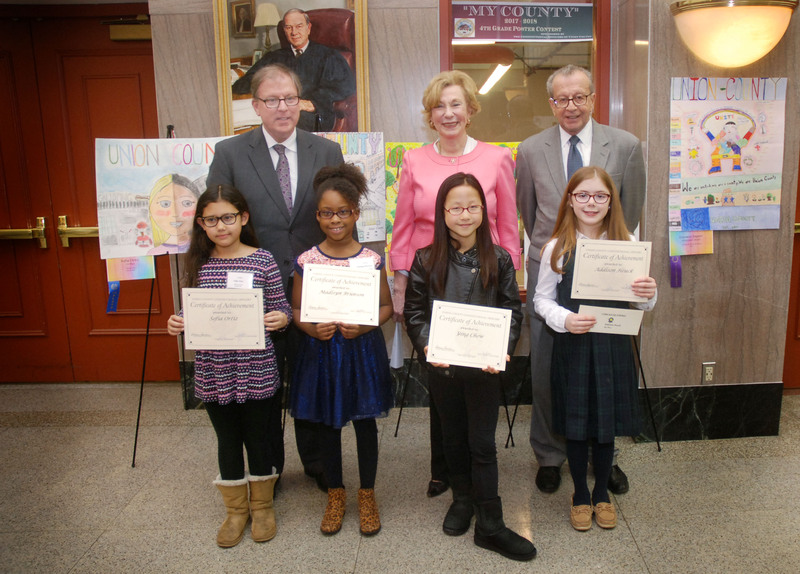 Union County Sheriff Joseph Cryan, Union County Clerk Joanne Rajoppi and Union County Surrogate James LaCorte congratulate the top winners of the 2017 “My County” poster contest sponsored by the Union County Constitutional Officers. 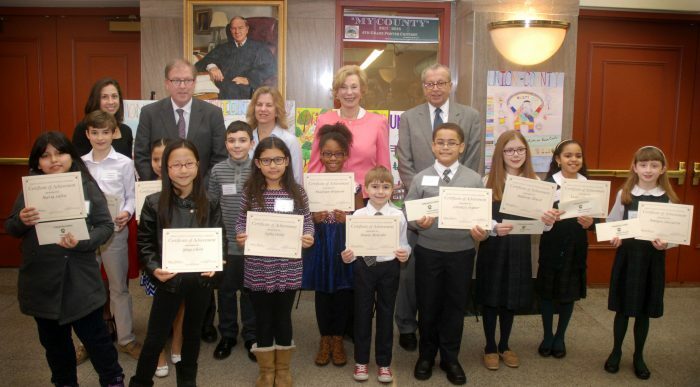 The top winners of the contest are (from 2nd left): Sofia Ortiz (1st place) from the Sherman School in Roselle Park, Madisyn Brunson (2nd place) from St. John the Apostle Elementary in Clark, Ying Chow (3rd place) from the Sherman School in Roselle Park and Addison Heuck (4th place) from Holy Trinity Interparochial School in Westfield. More than 200 fourth grade students from schools throughout Union County entered the contest. There are twelve winning posters that will be published in an annual Union County poster calendar Submission of the posters grants the Constitutional Officers Association permission to display them in public places.